Double C Plumbing handles all domestic, commercial and industrial jobs, and has built up an impressive list of loyal clients who return time and again for a prompt, reliable, and personal service. Also we have a complete price list available for all our services here. Customers include several local councils, builders and estate agents. 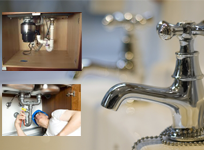 These clients trust Double C Plumbing’s professional approach and depend on their flexibility. Both commercial and domestic clients can be sure that this service will always be of the highest standard, as the company has many years of experience serving both sectors of the market. 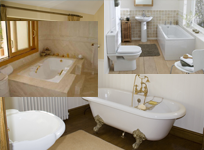 Double C Plumbing are able to provide you with a quick and effective solution to your plumbing needs. In addition to using qualified plumbers, our work is fully guaranteed. We carry an extensive range of parts ensuring your needs are dealt with professionally and effectively at the time, saving you the inconvenience of return visits. No job too big no job too small. We are on 24 hour emergency call out plumber and happy to come out and fix any issue you may have.